We offer professional deck restoration. 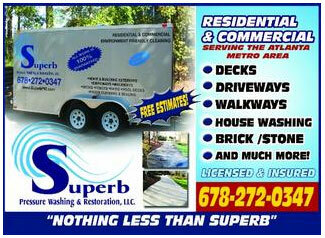 Superb Pressure Washing specializes in restoring, beautifying and maintaining all types of exterior wood surfaces. We are Georgia's premier professional wood restoration contractor fully versed in all aspects of wood restoration and maintenance. Decks and other wood structures must be stripped and cleaned to ensure all contaminants are removed. Also, the wood structures are sealed to ensure they are adequately protected and looking their best at all times. Superb Pressure Washing & Restoration can make any wood structure look new again and keep it looking immaculate year after year. If your deck, fence or other wood structure is experiencing graying, fading, cracking, warping, mold and mildew, splintering, U.V. damage, nail popping or cupping, its time to call Superb Pressure Washing & Restoration. We use only the finest sealers in restoring and maintaining your wood. Also, we offer a 4 year warranty on all jobs using Ready Seal professional grade sealer. Call us today to schedule a consultation and find out how easy Superb Pressure Washing & Restoration can restore your deck or wood structure back to its luster finish. 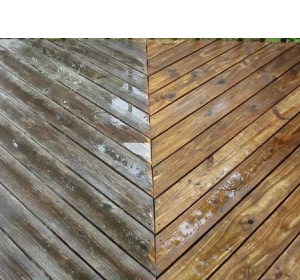 Superb Pressure Washing & Restoration recommends regular maintenance to keep your wood structure looking its best. Our process involves light cleaning of all surfaces on a yearly basis. If you are looking for the best, call Superb Pressure Washing & Restoration, LLC for your deck or wood structure restoration today.